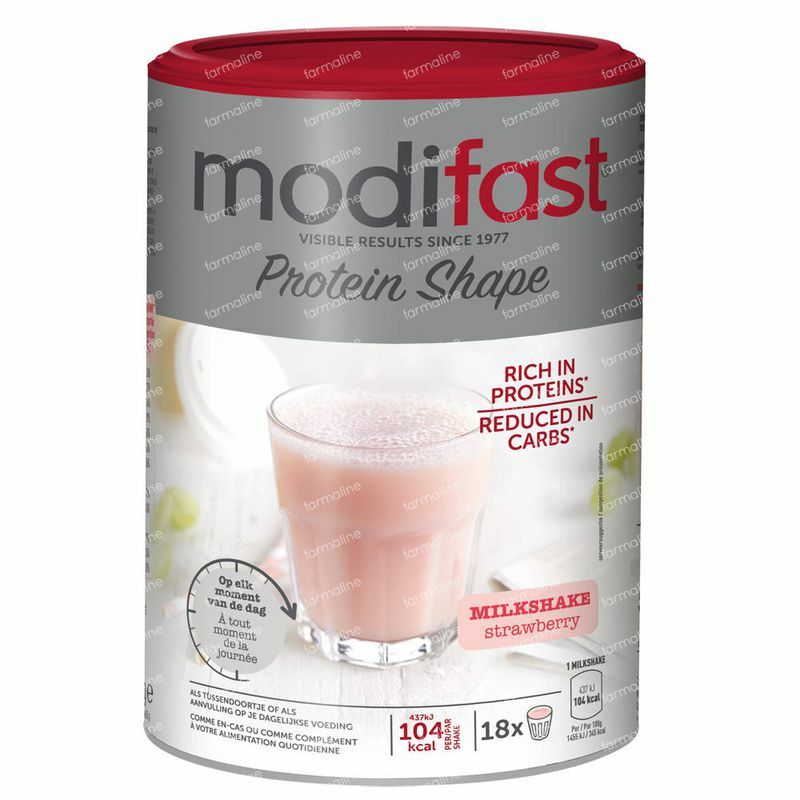 Modifast Protiplus Milkshake Strawberry 540 g order online. 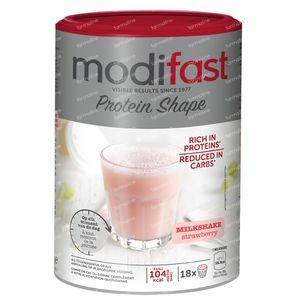 The Modifast ProtiPlus Milkshakes are meal components to prepare protein rich shakes, to use in a protein rich and an energy limited food program. Tasty and fresh milkshake that only contains 100 calories. Perfectly passing in Modifast 3.2.2 slimming method. With the ProtiPlus 3.2.2 method you change three strict days with two lighter days, while you can eat again normally (light) in the weekend. In this manner you can integrate this method in your daily life. The proteins care moreover for retaining and keeping your muscle mass. Do almost 200 ml water in a shaker or bowl and add 4 scoops Modifast ProtiPlus. Mix until the powder is totally dissolved and let it after that rest for 1 to 2 minutes.